The historic Cranwell Resort, Spa and Golf Club in the Berkshires, in Western Massachusetts is turning back the clock with a “Fall Back in Time” special that celebrates its past and offers a second night stay for just $18.94 (the year the resorts’ historic Gilded Age Mansion was built). Cranwell is as rich in history as it is with hospitality. 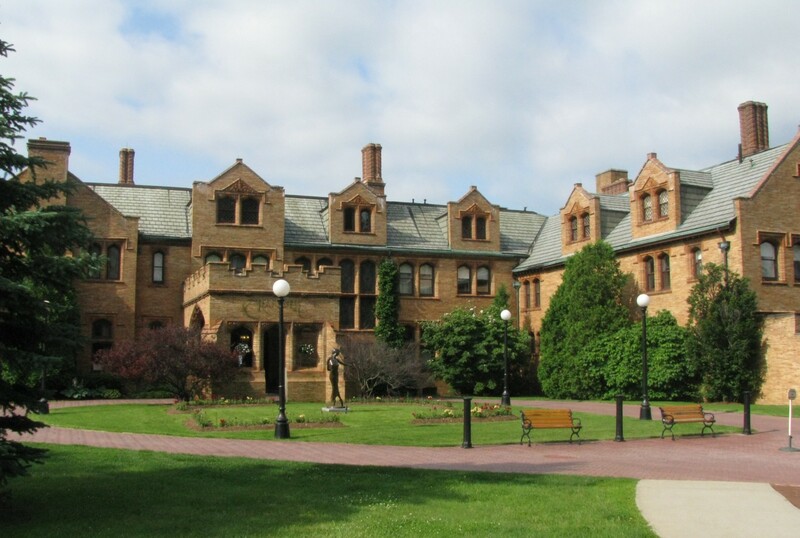 Over the years, it has played host to the likes of Harriet Beecher Stowe, Oliver Wendell Holmes, the Vanderbilts, and President William McKinley. The centerpiece of Cranwell’s 380-acre estate is a Tudor-style Mansion, commissioned by W. J. Sloane and constructed back in the Cottage Era in 1894. To celebrate its heritage, Cranwell is offering the “Fall Back in Time” special where guests can get a second night for only $18.94 when they book one night at the published non-discounted rate. The offer is valid for two consecutive nights, October 1 – December 21, 2010, excluding weekends in October and holidays. For information and reservations, call 800-272-6935, visit http://www.cranwell.com, or book online and use Promotion Code FBIT. Cranwell Resort, Spa & Golf Club is an all-season resort in the heart of the scenic Berkshires in Western Massachusetts, known for its abundant cultural venues including the famed Tanglewood Music Center and the Norman Rockwell Museum. In addition to a graceful, historic Gilded Age Mansion, this award winning resort features 114 distinctive guest rooms, an 18-hole Championship golf course set on 380 hilltop acres and one of the largest resort Spas in the Northeast. With three restaurants and spacious banquet rooms, Cranwell also hosts numerous year-round conferences, weddings and social events. Cranwell Resort is a member of Small Luxury Hotels of the World™ and Historic Hotels of America. The resort is listed in Zagat’s “Top U.S. Hotels, Resorts & Spas” and some of their many awards include the SpaFinder Readers’ Choice Award for one of “Best Spa Resorts for Golf”, the Wine Spectator Magazine Award of Excellence. Cranwell is located just two and one-half hours from New York City and Boston in the historic New England village of Lenox, Massachusetts. 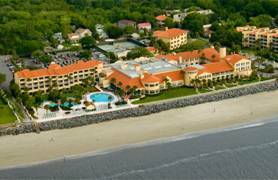 The historic King and Prince Beach & Golf Resort, St. Simons Island, Georgia, is hosting Scribbler’s Retreat. Through the years, the abundant beauty of the Georgia coast has inspired artists of every stripe, including poets, novelists and playwrights. In 1878, poet Sidney Lanier extolled the lush beauty of this coastal landscape, in his ode to “The Marshes of Glynn.” One of the best-known local authors was Eugenia Price, who wrote 14 historical novels about the Georgia and Florida coasts in the 1800s. During the 1930s, playwright Eugene O’Neill built a home and worked on Sea Island, where he wrote “Ah, Wilderness,” his only comedy. The conference begins with an Opening Ceremonies Banquet and ends with an Evening with the Authors cocktail reception. Celebrated authors are Diana Gabaldon, Karen White, Adam Davies and Ciji Ware. Rates for conference participants: $395/per person (10 writer’s workshops, banquet and cocktail reception); $795/per person (three nights at the King and Prince Hotel, 10 writer’s workshops, banquet and cocktail reception). Special group rates are available. BritRail’s Low Season Passes offer 20% off retail prices and unlimited travel on the national rail network throughout Great Britain – England, Scotland and Wales – for travel during low season, when savvy travelers can also take advantage of low rates on lodgings and no crowds at major sites. Low Season fares start at approximately $43 USD per day (based on a Low Season 3 Day BritRail England Consecutive Pass in standard class at 2010 prices) and are valid for travel between November 1, 2010 and February 28, 2011. Take advantage of this great discount by purchasing a BritRail Flexi or Consecutive Pass or BritRail England Flexi or Consecutive Pass anytime before February 15, 2011. Traveling during the low season has other benefits, as well, from big savings on flights and hotel accommodations, to fewer crowds at top tourist attractions. Loads of cultural and historic highlights of Great Britain are along the route: be sure to visit Stonehenge, Edinburgh Castle, the Roman Baths, Leeds Castle, St. Paul’s Cathedral and countless other museums, castles, gardens, and more. The Great British Heritage Pass is the perfect BritRail Pass companion, offering entry to these sights, plus nearly 600 other UK heritage properties – just another way to realize great savings during the low season! Interested in reading other exciting travel stories? Visit http://www.acprail.com/blog to browse what’s new in Great Britain and other top rail destinations. Visitors planning a trip to Loews New Orleans Hotel and the Big Easy now have more than Bourbon Street, Riverwalk and the French Quarter to explore. New Orleans is home to the National World War II Museum whose interactive displays and exhibits encompass the June 6, 1944 invasion of Normandy, the home front during WWII and the invasions in the Pacific. The hotel’s “National World War II Museum Experience” package features admission to the museum and a showing of the 35-minute Beyond All Boundaries, a 4-D cinematic experience executive produced by Tom Hanks. The immersive journey from Pearl Harbor to VJ Day with breathtaking effects, rare archival footage and images, CGI animation and multi-layered projection includes the voice talents of Kevin Bacon, Patricia Clarkson, Kevin Connolly, Viola Davis, John Goodman, Neil Patrick Harris, Brad Pitt and Gary Sinise, among others. The rate starts at $147 and is valid through December 29, 2011 and subject to availability and change. The National World War II Museum’s exhibitions blend personal accounts, artifacts, documents, photographs and never before seen film footage to tell the stories of the amphibious landings that made victory in World War II possible. Visitors also can experience the Solomon Victory Theater, featuring Beyond All Boundaries, a 4-D cinematic experience; the Stage Door Canteen, a recreation of a wartime entertainment venue; and the American Sector – a Chef John Besh restaurant. . For more information, call (877) 813-3329 or (504) 527-6012 or visit www.nationalww2museum.org. Situated adjacent to New Orleans’ Arts District, the 285-room Loews New Orleans Hotel features sweeping views of the Mississippi River or New Orleans skyline. Personalized service and beautifully appointed guestrooms provide an unpretentious Four-diamond and MORE experience, while Café Adelaide and the Swizzle Stick Bar (operated by the Commander’s Palace Family of Restaurants) offers award-winning local cuisine in a relaxed setting, embodying the essence of the Crescent City. For reservations call 866-211-6411 or 504-595-3300 or visit www.loewshotels.com. Travelers can visit two of Asia’s most fascinating and exotic destinations, Borneo and Bangkok, for 11 days starting at only $1,799 (per person, double occupancy). The offer, from Friendly Planet, includes roundtrip airfare, accommodation at deluxe hotels, local transfers, daily breakfast and several lunches, and even tours. Visitors can take advantage of their airfare and opt for a pre or post-tour extension. Explore Malaysia’s dazzling capital city Kuala Lumpur starting at only $199 (per person/double), or relax on Thailand’s remote beaches of Phuket Island starting at $550 (per person/double). For a limited time only, this special fare starting at $1,799* reflects an early booking discount if reserved by December 8, 2010. Round-trip Economy Class airfare from LAX on award-winning China Airlines is provided. Airline fuel surcharge is included. Additional taxes and fees total $95. Both extension specials include accommodation at deluxe hotels and local transfers. Rich in cultural diversity, Malaysia offers a truly Asian experience. The exotic country provides a unique culture experience, tantalizing food, an array of attractions and activities, and great value for your dollar. Thailand is considered a Southeast Asian migratory, cultural, and religious crossroad. The country offers over miles of coastline, bays and coves, with many beach and island activities. 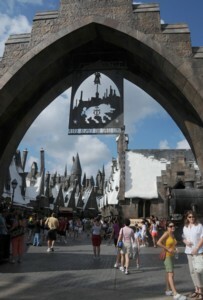 To book, call Friendly Planet Reservations at 800-555-5765, http://www.friendlyplanet.com. For more information on the special deal, visit http://www.friendlyplanet.com/exotic-borneo-bangkok.html?src=em100510. Vail Resorts may be considered posh for their outstanding facilities and services, but the company, with six world-class resorts, offers many ways to save on a winter vacation. This season’s ‘Best for Less’ offers feature deals and offers designed to provide skiers and riders the best value on lift tickets, rental equipment, ski lessons, dining, lodging and more for their ski vacation. Vail Resorts also offers an array of season pass products that provide skiers and riders with the best value in the ski industry. At, $619 the Epic Pass provides unlimited, unrestricted access to six world-class resorts including Vail, Beaver Creek, Breckenridge, Keystone and Heavenly – as well as at Arapahoe Basin and the new Epic 7-Pack is a seven-day, unrestricted ticket that skiers and snowboarders can use at any one of Vail Resorts’ five mountain resorts and Arapahoe Basin anytime during the season for a price of $469—which works out to be $67 per day. The Epic 7-pack differs from a seven-day lift ticket because it can be used any time during the season, from beginning to end. 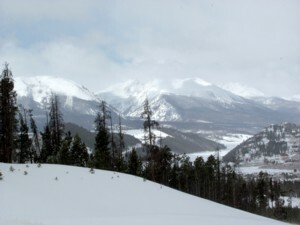 The Summit Pass provides unlimited lift access to the top Summit County resorts – Breckenridge, Keystone and Arapahoe Basin – without date restrictions at $419 for adults. For more information, visit www.epicpass.com. It’s simple! When you purchase your lift tickets to Vail, Beaver Creek, Breckenridge, Keystone or Heavenly in advance through one of the Vail Resorts Official Ticket Outlets (this website or by calling a Vail Resorts reservation center) you are guaranteed the best price on our lift tickets. Visit www.snow.com for more information. Pay for three nights lodging and two days of skiing and receive one extra night and day of skiing free! That’s a savings of almost 30%. Prices start as low as $315 per person! Valid: November 18, 2010 – April 25, 2011 visit www.snow.com for more information. The Adventure Sessions: If Ski School had Recess this would be it! For $129 guests can explore the mountain and maximize their enjoyment on the slopes with an expert guide from the Ski & Ride Schools at all five resorts. Unlike more formal ski and ride school lessons, the new Adventure Sessions are more loosely structured, focusing on whatever the group chooses such as bumps, bowls, cruisers or powder, while still providing tips on how to improve their skiing and riding. The program is geared towards intermediate and expert level skiers and riders who are looking for more adventure, a locals’ view of the mountain and less of an instruction and class setting of a standard ski school class. Ultimate 4: Apremium group lesson program for children ages 3–12 years with only 4 children per instructor. Your kids will be able to explore the mountain all day long while fine tuning their skills in a small-group setting, starting at $210*. “Lunch for Less” is a value meal that is offered across all five resorts for $9.95 and includes an entrée, side dish and a beverage. The Lunch for Less meal may vary from day to day and from resort to resort and include a wrap and soup one day or a pasta and salad the next. It’s the perfect way to refuel on the slopes and experience a variety of menu offerings over a multi-day visit. Vail Resorts guests can take advantage of a convenient, pre-paid Mountain Meal Card which offers added value with an extra 10 or 20-percent dollar value based upon the amount purchased. For the first $100 purchased, guests will receive a 10 percent additional value. For values of $200 and up, 20 percent of the total will be automatically loaded on to the card. The Mountain Meal Card must be pre-purchased in advance prior to arrival at the resort. 9. Free guided tours. All of our resorts offer free mountain welcome tours for intermediate to advanced levels. Check with a friendly guest service team member or call a concierge to get the details on where and when to meet (or visit www.snow.com). Typically, the tours meet in the morning at the base of the mountain or on top of the mountain (depending on the resort) and last anywhere from an hour to two, during which time you’ll get an overview of the mountain, pick up a few tips from the locals and even learn a bit of history about our resorts and towns. 6. Free postcard + free postage at Beaver Creek. “Wish you were here” was never so easy, convenient or … so, free. On a daily basis, the top-rated Beaver Creek guest services team hand outs free collector resort postcards to visitors that they will then actually mail for you – for free. Yep, postage is free for you, too. 4. 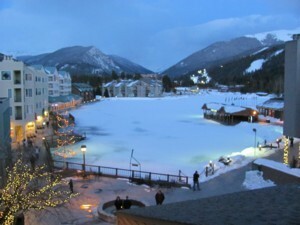 Free ice skating, yoga, snowshoeing and kids puppet shows at Keystone. When you stay at Keystone and book through their central reservations system, you play for free thanks to the Adventure Passport program that gives lodging guests dozens of one-time vouchers for free activities and discounted items like a free yoga class, free snow biking mini-clinic, free ice skating admission and discounted wine tastings, sleigh rides and more. 1. Vail Resorts also offers an array of season pass products that provide skiers and riders with the best value in the ski industry. At, $619 the Epic Pass provides unlimited, unrestricted access to six world-class resorts including Vail, Beaver Creek, Breckenridge, Keystone and Heavenly – as well as at Arapahoe Basin and the new Epic 7-Pack is a seven-day, unrestricted ticket that skiers and snowboarders can use at any one of Vail Resorts’ five mountain resorts and Arapahoe Basin anytime during the season for a price of $469—which works out to be $67 per day. The Epic 7-pack differs from a seven-day lift ticket because it can be used any time during the season, from beginning to end. For more information, visit www.epicpass.com.